This outfit was from Sunday when M and I went to have lunch at M’s parents’ flat. We walked there instead of taking the car (M wanted to have beer and I didn’t feel like driving, because I never feel like driving) and it was actually quite cold (it had snowed in the morning). I started with picking out which bag I wanted to take. I don’t have that many good bags, a lot of my bags are showing considerable wear and tear, and most of my bags are functional rather than fashionable. 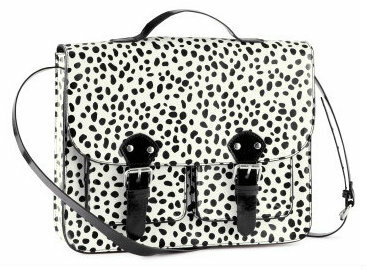 However, this H&M spotted white and black satchel bag is one of my cuter bags. It fits a good amount of stuff and I think it’s really adorable too! After picking out the bag, I moved on to shoes. 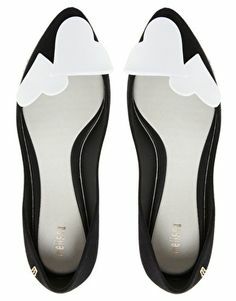 I knew I wanted to keep the black and white monochrome theme going, so I went with these Melissa pointed toe heart flats. Also they are very comfortable to wear, love them! The last time I documented wearing them was in September when I wore them with a really comfortable casual outfit (one I will totally repeat once it gets warmer, read the post here). But back to the recent outfit. I loved the shoes and the bag together, but I didn’t feel like going overboard with the monochrome theme so instead I chose a block-colored dress. This one is from Oasis via Asos, bought about a year or so ago. 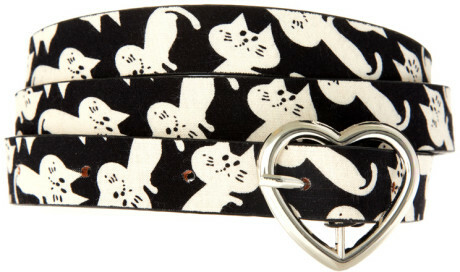 To tie in with the monochrome theme a bit more I also added this Asos cat print belt. It’s so cute! I bought it a couple years ago but I don’t really wear it as much as I thought I would, because usually I end up wearing a cardigan (I get cold very easily) and then no one can see the belt anyway. But I’m trying to be better with adding accessories. 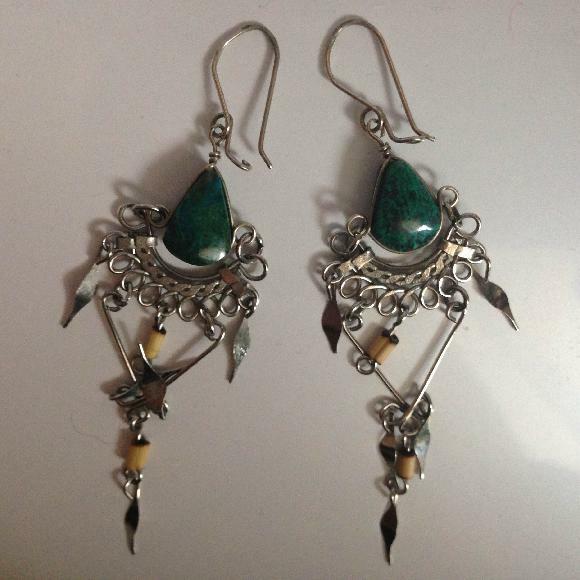 I also wore a pair of silver dangly earrings that have a green stone which matches the green of the dress. The are very delicate. I bought them like seven years ago on an auction site from an independent seller. 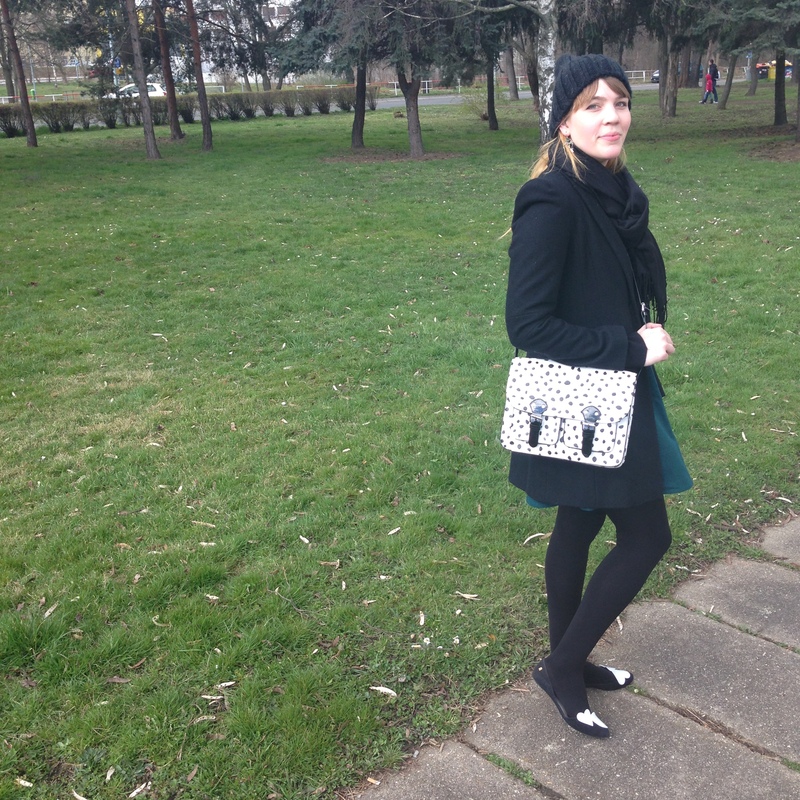 The rest of my outfit were just functional pieces: Topshop winter coat, Pull & Bear cardigan, Zara knitted hat. I was happy with this outfit, though nothing really out of the ordinary with regards to my style. I wish it was warmer out as I really want to get into spring fashion (I’m visualizing a lot of cropped jackets, blazers and fun dresses) but it is what it is. It’s supposed to be a warm weekend though so I’m excited about that. I’ll see you tomorrow with another outfit post, xo. 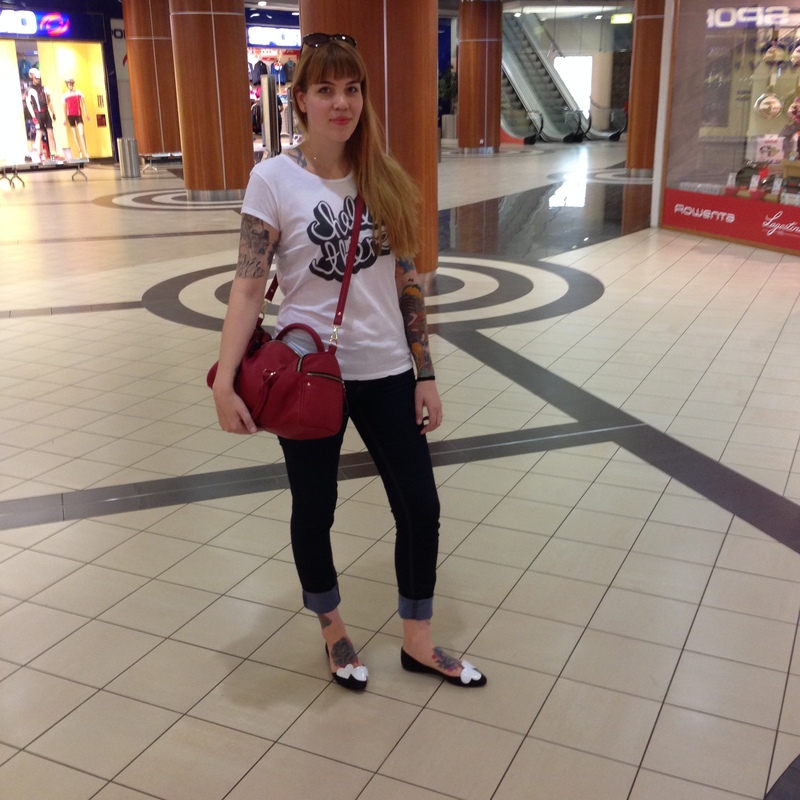 A really nice outfit, I like that bag, it’s cute. Thank you:)) I like that the bag is a good size – I have a lot of cute clutch bags but they hardly fit anything! Teal is so your colour, and those shoes are amazing.